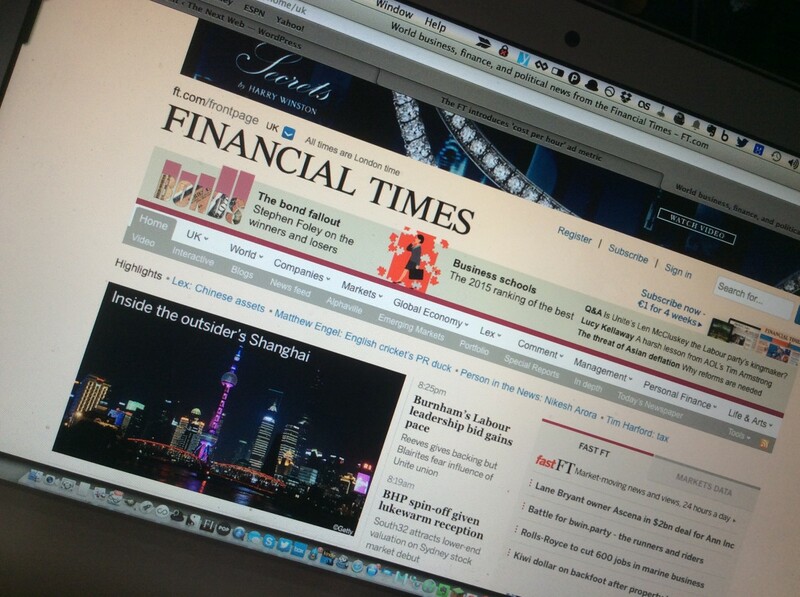 The Financial Times has introduced a new way of measuring the effectiveness of ads on its website and mobile apps. The ‘cost per hour’ (CPH) metric, developed with analytics firm Chartbeat, measures how long an ad is viewed, rather than simply whether it is seen. The media organization began piloting CPH last year. It claims the new measurement offers greater brand impact than impressions alone. The FT now reports to clients on how long each impression has been viewed, and the total duration of exposure across a campaign. It says it’s now working with other publishers in the hope that CPH will become the standard industry metric. There’s definitely a strong argument for introducing more time-based measures as they emphasize quality engagement over simple clicks. As dull as white papers can be, this one on using CPH by Nikul Sanghvi is worth reading if you want to know more about the new approach. And if you’re after more on how analytics are changing news rooms, try our piece on The Guardian’s Ophan engine. Read next: What’s the deal with TNW’s new canvas ads?